First Group is the leading transport operator in the UK and North America. 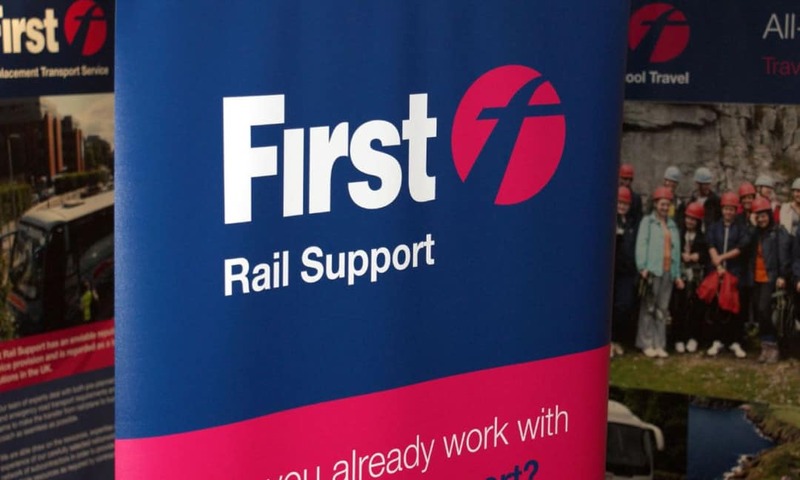 With revenues of more than £6.9 billion per annum and approximately 120,000 employees they transport more than 2.5 billion passengers every year. 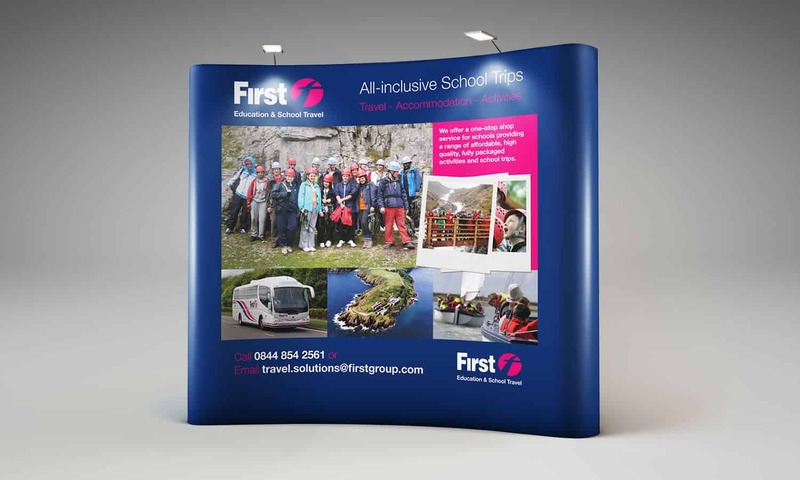 We were commissioned by the transportation giants to produce a range of eye catching and engaging roller banners for three of their core business divisions – First Replacement Transport Service, First Corporate Travel & Accommodation and First Education & School Travel – along with an additional point to contact banner, for their exhibition stand at the Bus & Coach Show at the NEC, Birmingham. The recent project also saw our team produce a range of promotional material for the exhibition including corporate branded pens, tax disk holders and an A4 leaflet for each division. All literature produced needed to follow the same design guidelines as the recent website our team produced, ensuring a cohesive brand identity throughout the groups marketing strategy.